IS IT POSSIBLE TO HAVE SCIENCE, IF FACTS OF THE UNIVERSE ARE UNORDERED? Basic to the unbeliever’s worldview is a denial of creation – the ordered arrangement of the universe according to the mind of God. The Christian worldview is that not one piece of the created order is where it is, at the time it is, and the size it is , that is not the result of God’s ultimate plan for His creation. Knowledge requires the ability to differentiate between individual objects (One- and- Many question). This is done by means of universals, or what we might call categories. Examples of categories would be horse, cat, chair, trees, plants and so forth. In the Christian worldview, categories or universals, are part of the creation act of God. This is what unifies everything in the universe (unity and diversity), otherwise we just have a lot of ‘abstract particulars’ that don’t relate to anything else. Particulars (things, events, words) need something that connects them to something else that will provide meaning to the particular whatever it might be. Right at the foundation of the universe (Genesis 1) God created particulars and kinds (universals), ” The earth brought forth vegetation, plants yielding seed, each according to its kind …” Genesis 1:11-12. The doctrine of the Trinity provides a solution to the problem of knowledge , the one-and-many or universals and particulars, and therefore a solution to the issues of relationships, or community. 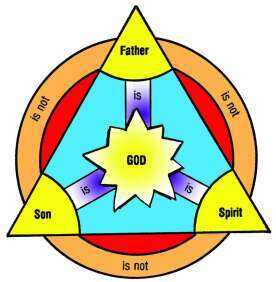 In the Trinity the absolute self-sufficient God is both unity and diversity. Creation reveals a one-and-many universe brought into existence by a one-and-many triune God. The universe is not an accumulation of unknowable abstractions but a creative act of God. Without such a belief in a unifying principle in the universe, science is not possible. It is the unifying principle, the common denominator, that provides order and coherence – rationality – to the universe. This is one of the unproven assumptions of science. It is no coincidence that science has grown on the back of a Christian culture and worldview. There is now so much evidence which proves the Bible is trustworthy that Christians properly equipped can go on the offensive rather than go on the defensive as so many do when challenged as to the veracity of Scripture’s claims. The many fulfilled Bible prophesies, such as Isaiah’s prophesy that a Persian king would arise with the name Cyrus – around 150 years before the event occurred. Three hundred prophesies in the Old Testament (OT) of the birth, life, death and resurrection of Jesus that all occurred exactly as prophesied. In the field of archaeology, the Bible has been confirmed accurate by numerous archaeological discoveries. The Hittites were presumed to be a mythical tribe because no physical evidence had been found. That was until a huge ‘City of the Hittites was uncovered. The discovery of the Dead Sea Scrolls as late as 1947 with an almost complete copy of Isaiah in which there are so many of the prophesies of Jesus life, death by crucifixion and resurrection. As a result, the Bible is regarded as “the most accurate history book in the world”(The Archaeology of the New Testament by E.M.Blaiklock). Considering this fact alone, one can logically assume that its other historical claims in Genesis such as a real Adam and Eve and a global Flood are also true. In the New Testament (NT), scholars used to be skeptical about John’s description of the Pool of Siloam in Jerusalem, but archaeology showed that John’s description was accurate (which also proved that the gospel of John was authored by someone who had been in Jerusalem before the AD 70 destruction, which fits very well with the Apostle John being the author). John and all the NT authors – and even Jesus himself – believed and quoted from Genesis more than any other book in the Bible. It is in the area of Genesis Creation where the rubber really hits the road, and where Creation Ministries has truly shone with evidence that recent discoveries particularly on DNA (Information Theory) and the function of cells have demonstrated the futility of evolution with its proposed mechanisms of natural selection and mutation. 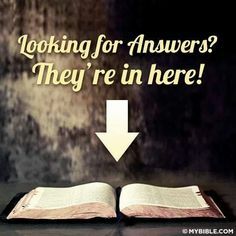 On their website http://www.creation.com there are almost 8,500 fully searchable articles you can access to equip you with answers to provide real seekers of the truth about God and Creation. The Bible is trustworthy, including its claims about sin and salvation. Jesus is who he said He is. He is the way, the truth and the life. Jesus believed Genesis was true history then I suggest so should we. Information scientist Dr Werner Gitt makes a compelling case in his book “WITHOUT EXCUSE” that the design and information in the universe proves the existence of an all powerful creator. Dr Gitt obtained his degree in engineering from the Technical University in Hanover, Germany. After receiving his PhD, he was appointed head of the Department of Information Technology at the German Federal Institute for Physics and Technology (Physikalisch-Technische Bundesanstalt (PTB) in Braunschweig). Seven years later he was promoted to Director and Professor at PTB. 1. a scientist with a PhD qualification from an approved University. 2. one who has published a significant number of original research papers in the technical literature. 3. must head a department in his area of expertise, in which several working scientists are employed. Dr Werner Gitt has an impressive repertoire of awards and published works so the conclusions reached in his book cannot be lightly dismissed. WITHOUT EXCUSE relies upon undisputed laws of science and logic, drawing from a wide range of mainline peer-reviewed scientific publications to formulate the premises of the book as well as in representing the main claims of today’s prevalent scientific materialism. Premised on the truth of Romans 1:20, Dr Gitt and his two co authors Bob Compton and Jorge Fernandez decisively confront the issue of defining information and its properties then proceed to formulate a scientifically valid series of deductions demonstrating how the existence of information leads one first to the existence of ‘a god’ and then specifically to the GOD of the BIBLE. WITHOUT EXCUSE is an excellent tool for Christians, providing insight into the clash of WORLD VIEWS and tools for defending the claims of scripture. It is also a must read for any individual who genuinely wants to investigate the claims of Christianity.